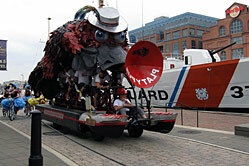 David Hess and his Horkology Foundation of Baltimore brought back the immense PLATYPUS (Personal Long-range All-Terrain Yacht Proven Un-Safe) sporting a new larger platypus sculpture. 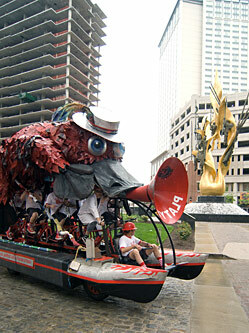 For 2009, Pokey is more cartoonish and well-fed, and bears a stylish boater hat. 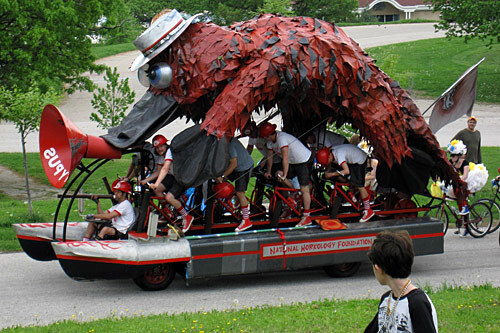 They were the hands-down winner of the People’s Choice award, as determined by an extensive survey of the crowd conducted by Kinetic chicken volunteers. 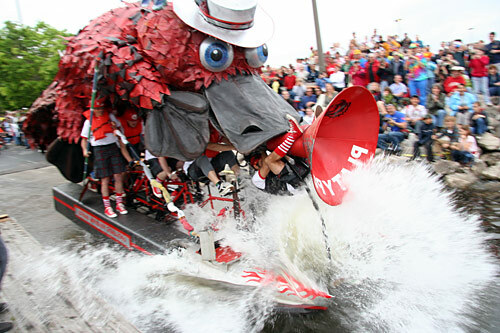 In the splashing water entry, note the position of the lead passenger’s feet. 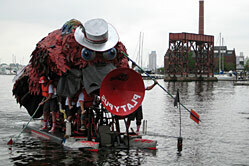 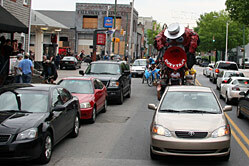 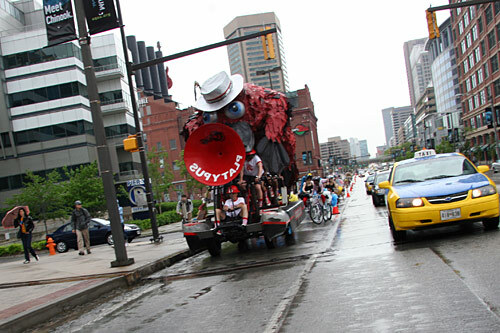 With eight pilots pedaling, one barnacle driving, and room for a second redundant barnacle up through the rooftop hatch, PLATYPUS retains the largest crew of any entry in Baltimore Kinetic history. 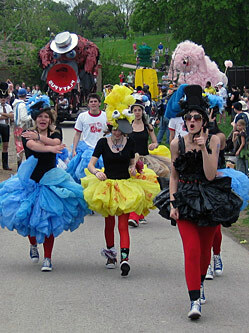 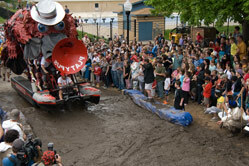 The singing, dancing, marching pit crew sported furry hats, and tutus made from plastic trash bags.